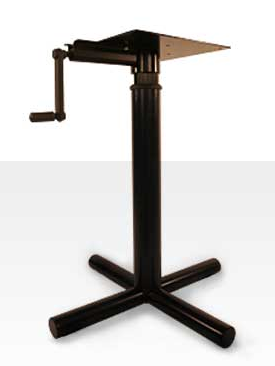 613-48 Adj. 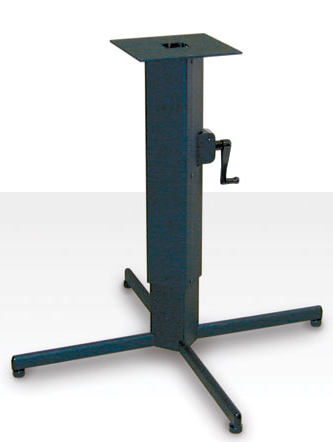 Base | Phoenix Contract, Inc.
613-48 Economy Height Adjustable BaseThe adjustable metal bases have about a six (6) inch adjustment range. 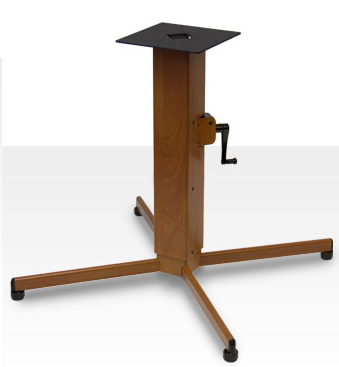 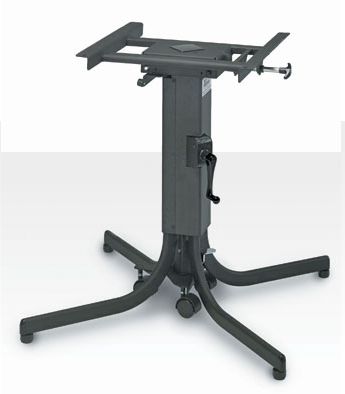 Some bases offer “Quick Tilt”™ and “Quick Step”™ Center Transport System that allows for one person to easily move and store tables in a multi-purpose room.